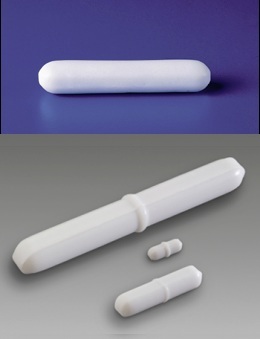 The Spinbar® Octagon, Spinbar® Round, Spinbar® Polygon, Flea Micro, Spinbar® Egg Shaped (Oval) and Spinbar® Disposable Stir Bars available from Rose Scientific are the most popular of the magnetic stir bars and are available in the widest selection of sizes, for general magnetic stirring. 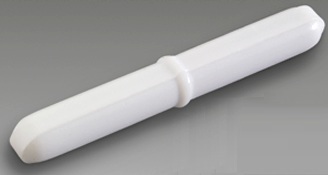 All but one of the Spinbar® Octagon stir bars have built in pivot rings, the Spinbar® Round stir bars have a built in pivot ring or tapered ends, the Spinbar® Polygon stir bars have some with built in pivot rings, some without, and include some large and giant sizes. 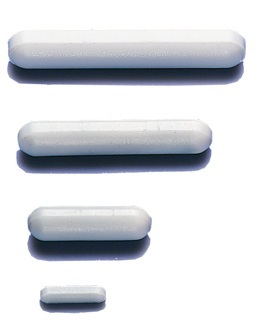 The Flea Micro stir bars cover mixing in small vessels and test tubes. 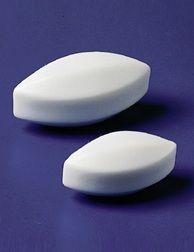 The Spinbar® Egg Shaped or Oval stir bars have a natural pivot point and do well in round bottom flasks. The Spinbar® Disposable stir bars are designed for single use and offer inexpensive insurance against cross contamination. 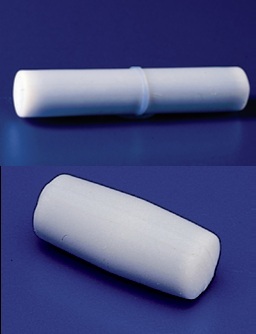 Rose Scientific has a large selection of magnetic stir bars for every application, for general magnetic stirring, high temperature stirring, viscous solutions or high speed stirring, abrasive slurries or extended stirring, stirring in large or very small containers and gentle stirring in tissue culture applications. The Spinvane® Angled Vane, Half Round Semicircular, Tapered Half Round Semicircular, the Spinring® Balancing Ring, the Spinfin® Finned and the Spinfin® Double Finned add to the choices. More solutions are provided by the Spinstar® Star Shape, Spincross® Cross Shape, Spinwedge® Triangular, Spinbar® Saturn. Circulus® Barbell, and Floating Iman, or the Spinbar® Pyrex Glass, Spinbar® High Torque, Spinfinity® Long Lasting, Spinbar® Cuvette, Spinbar® Capsule and the Centering Beaker with Cover.